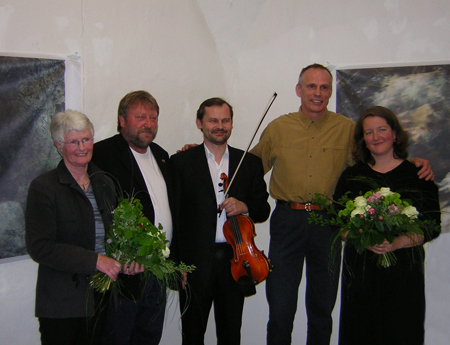 At the opening event two musical works written by William Pura were performed by the musicians. The violinist Daniel Bara played Ballade for solo violin. The flutist Barbara Blumenstingl played Prime for solo flute.